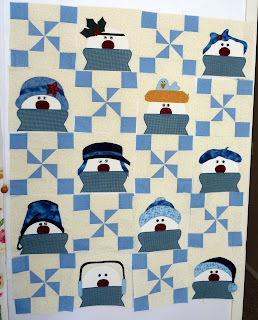 I was so excited to show off the work I did on the snowman quilt that I used the wrong "F" word. I've heard about these things quilters use called design walls. Basically it's a section of wall covered so you can lay out and arrange/rearrange quilt blocks until you get them organized the way you want. With as many quilts as I do, I decided I wanted a design wall. I had some felt left over from the Christmas stockings and an empty section of wall. 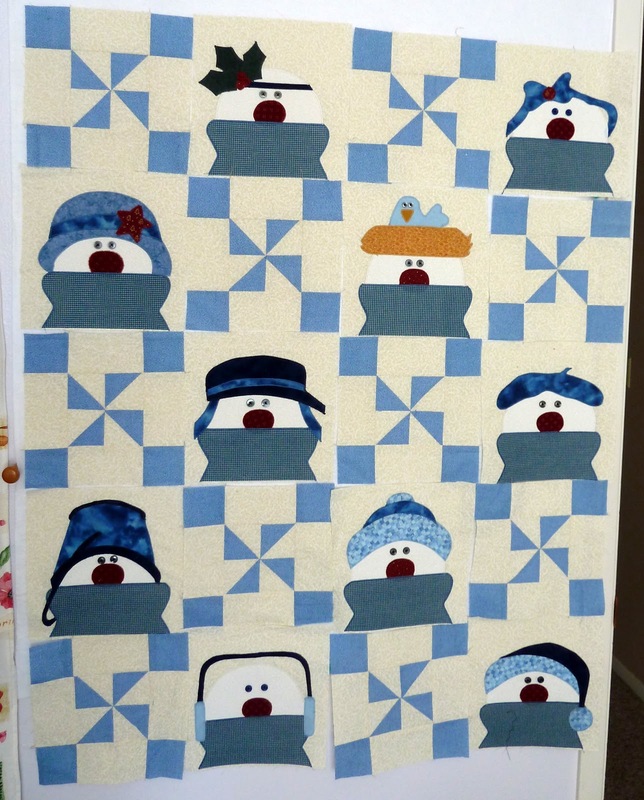 I stuck the felt up on the wall and arranged my snowman blocks. But the blocks kept falling down! Doggone design wall didn't work as well as I thought it would. I barely got them to stick long enough to take today's picture. I had used the wrong "F" word. I wasn't supposed to use felt for the design wall - I was supposed to use flannel.